Our men's Top Gun costume includes a zipper front flight suit with interchangeable Maverick and Goose name badges. 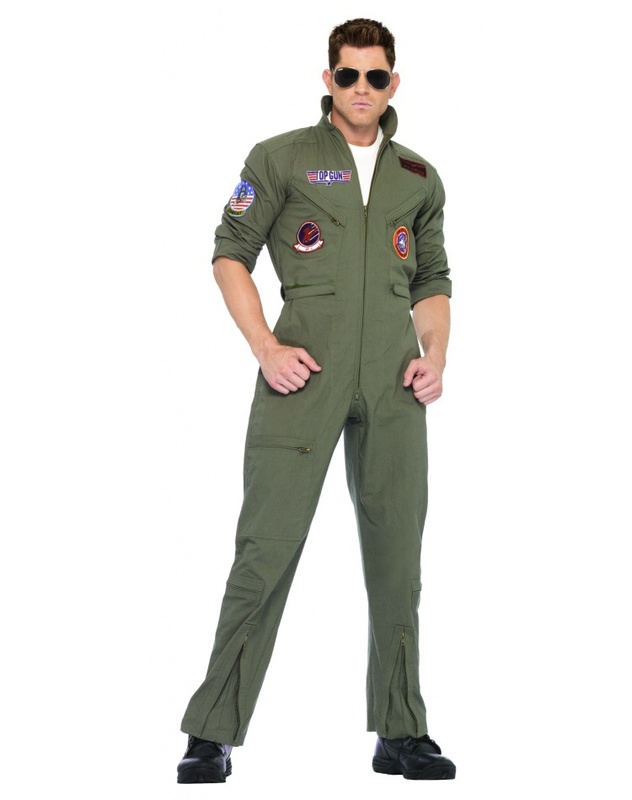 Our mens Top Gun flight suit Halloween costume comes in adult sizes Small/Medium, X-Large, Medium/Large. Couples Halloween costume ideas: Match this Top Gun costume with another Top Gun flight suit costume for a Maverick and Goose costumes couple. The aviator glasses and t-shirt are not included with this Top Gun Halloween costume for men. This mens Top Gun flight suit Halloween costume is an officially licensed Top Gun costume. Do you feel the need? The need for speed? 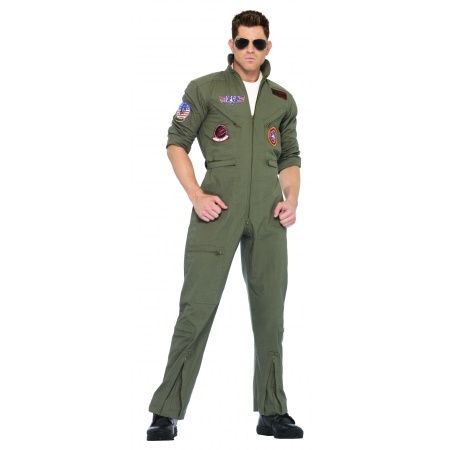 You will as you play Maverick or Goose in this officially licensed Top Gun naval aviator flight suit costume. This Top Gun costume is cool and very easy to wear. You'll be instantly recognizable as Maverick or Goose when you put on the classic aviator teardrop sunglasses. Kick the tires and light the fires!